If you’ve seen Kondo’s Tidying Up on Netflix, then you’ve seen her advice on thanking items for their “service” before letting them go. This may be rooted in Shinto, a traditional Japanese religion that honors the sacred power of both animate and inanimate objects. When she was 18, Kondo took a part time job at a Shinto temple. “Shintoism, for Japanese people, is not the same religious feeling as a lot of American people might feel, but is pretty much blended into our daily lifestyle or habits. It influences me, but not as strongly as you might think,” she explained in her Reddit AMA. 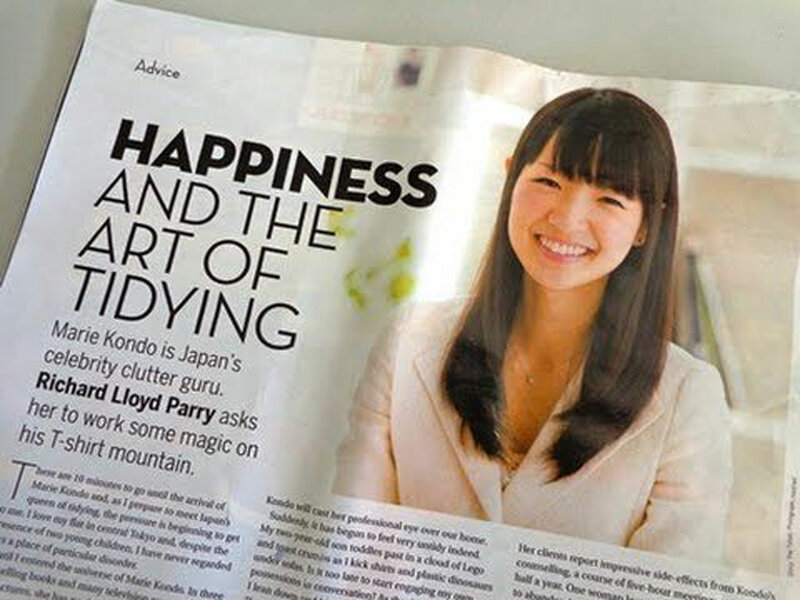 It might not be what you’d expect from someone who’s known for her de-cluttering methods and organization skills, but Kondo actually likes to see some clutter – if it means that she’s going to get rid of it. Seeing clutter might excite Kondo for all the tidying possibilities that lie ahead, but she doesn’t always face new messes with the same amount of optimism. When entering a new messy home, there is one pet peeve that turns Kondo off and that’s when the mess is so bad that you can smell it. “If the room has some garbage, like stinky garbage, old food and stuff, yes it does bother me sometimes. 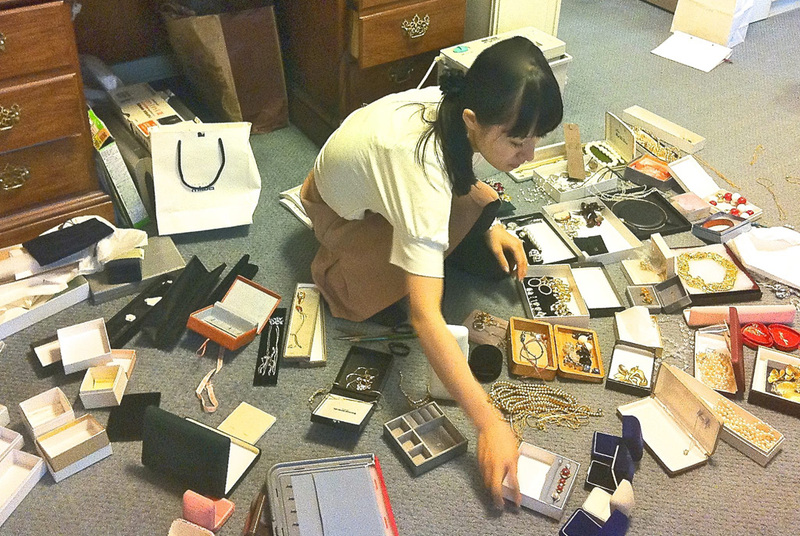 But not because of the amount of clutter, it is just the smell,” Kondo said on Reddit. 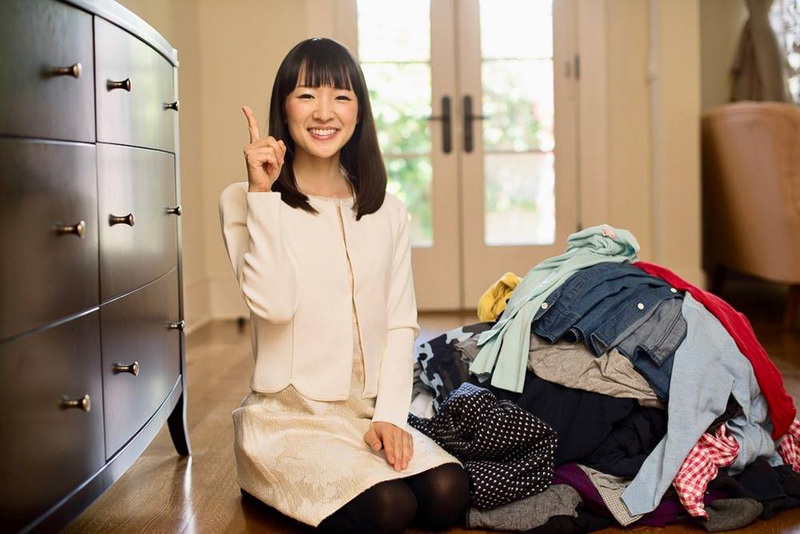 If you look up photos of Marie Kondo or see her on television, you’ll quickly notice that she is always wearing white. While it may definitely be a preference, there is a reason for her self-imposed dress code. Kondo told The New Yorker that when it comes to professional engagements, she exclusively wears white because it evokes cleanliness and her trademark tidiness. “It is part of my brand… my image color. It is easy to recognize me,” she said. Most people avoid white because of how easy it is to stain, but we’re sure Kondo doesn’t have that problem! 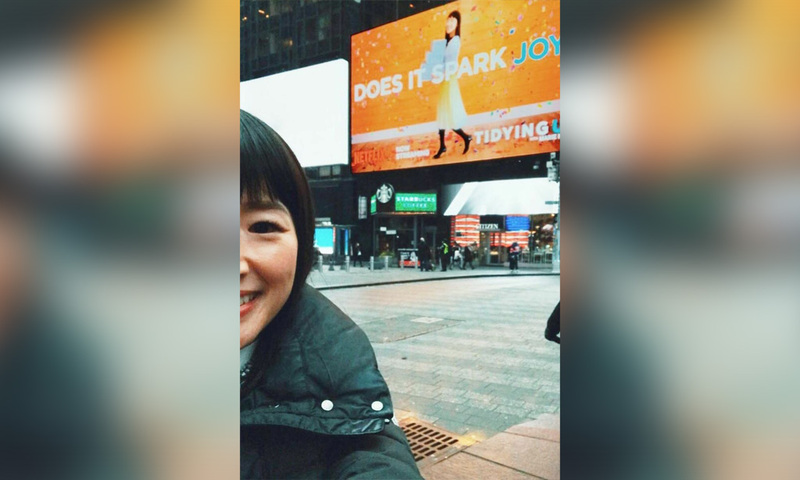 In perhaps what is the top piece of advice in her KonMari method, Marie Kondo urges her clients to let go of that which does not “spark joy.” For her, it was pants. Kondo told The New Yorker in 2015 that she gave up wearing pants many years ago because they no longer brought her joy. Indeed, if you’ve seen her show, you’ll see her watching from the sidelines as her clients rummage through their closets deciding what and what not to keep. Part of her method is to hold up each item and decide how it makes you feel. 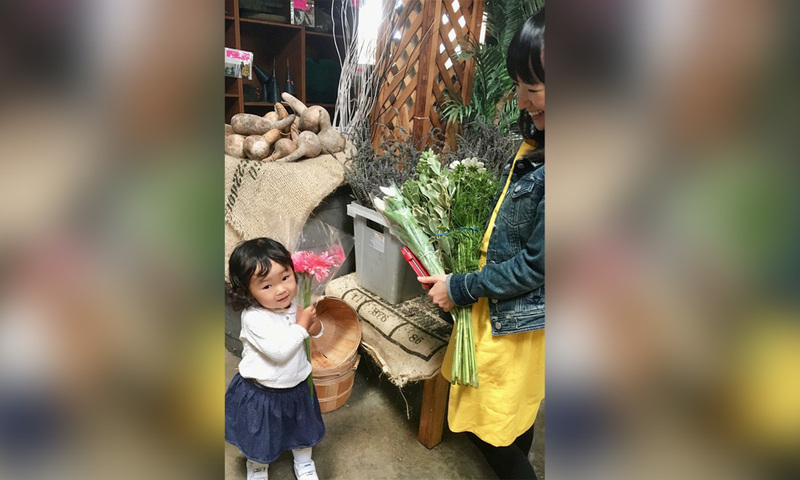 After realizing her passion for cleaning as a child, Kondo became so obsessed with tossing unnecessary items in the house that even her parents were tired of it! By the time she was 15, it caused a nervous breakdown, according to a 2014 profile in The Australian. “I was unconscious for two hours. When I came to… I realized my mistake: I was only looking for things to throw out. What I should be doing is finding the things I want to keep. Identifying the things that make you happy: that is the work of tidying,” she said. It was there that she read Sari Solden’s Women With Attention Defecit Disorder, which talked about women who were too distracted to clean their own homes. It bothered her that these women were considered too “broken” to maintain a household, when a man could easily help pick up the slack, according to a 2014 New York Times article. While in college, Kondo’s friends would pay her to help them organize their living spaces. She eventually started her consultation business, KonMari, after word of her tidying efforts got out. By the time she graduated, she was making $100 per five-hour-block for tidying up. It wasn’t long before she racked up a six-month-long waiting list of people who were in dire need of her services. “I had so many clients – a months-long waiting list. They requested that I write a book so they could learn about my method while waiting for their consultation,” she told New York Magazine. As Kondo’s popularity was taking off in Japan, she met Takumi Kawahara, the man she would fall in love with and marry in 2012. At the time, Kawahara was working in marketing and sales in Osaka but as his wife’s star power was beginning to reveal itself, he left his job to support her as her manager. “He was able to clean and be very organized even before he read my book, but it was certainly even more pronounced after he read my book… Fundamentally speaking, we’re in the same groove,” she told Good Housekeeping in 2016. 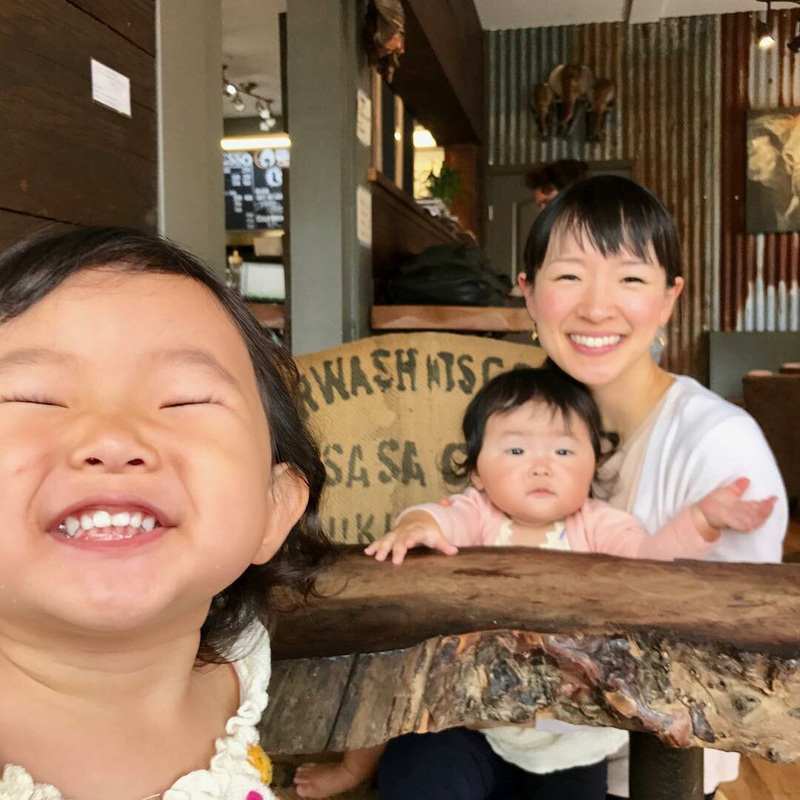 Since her career took off, Marie Kondo also celebrated two more milestones: the births of her two daughters, Satsuki and Miko. She’s admitted that she had to loosen up with her need to tidy so much after they came into her life. Another complaint that many had about Kondo’s methods was that they didn’t seem to account for what to do if you had kids. Surely, it wasn’t something Kondo took into account until she had babies of her own, but that didn’t mean she didn’t know what to do when it came to kids’ stuff. 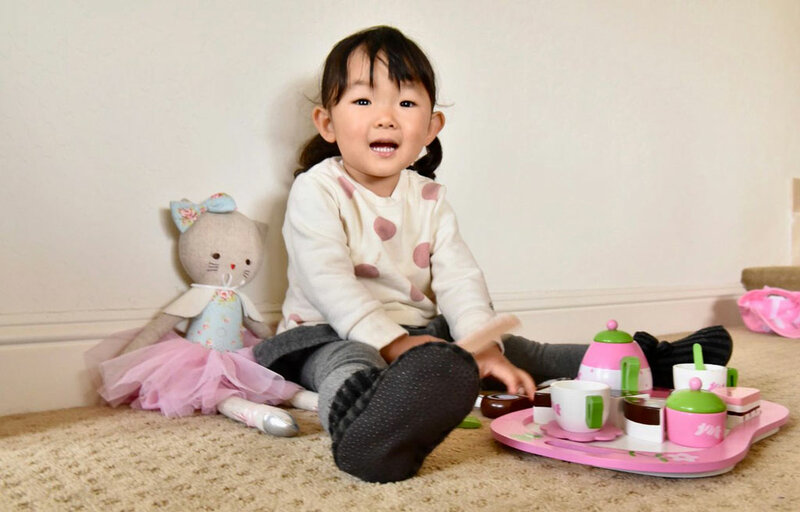 Kondo recommends that children can start deciding what sparks joy by the time they reach age three. “I think it is important to grow up seeing beautiful things so that you can develop that sense of beauty, and comfortable space,” she said on Reddit. We all know that Kondo promotes the idea that you should only hold on to items that spark joy in your own life, but of course, there are people out there who have some very valid follow-up questions. People wonder what should be done with items that don’t spark joy but are necessary and not easily replaceable. For those items, Kondo has said, “Those things are helping you every single day. So you should appreciate how they are contributing to your life. Change the relationship with those items, by appreciating their contributions to your life.” In other words: Gratitude! Books are an easy thing to accumulate, which is why by Kondo’s suggestion you should get rid of those you aren’t going to read or reread. By her estimation, one should have no more than 30 books, which she’s explicitly stated is her own preference. Of course, the social media firestorm caused by Kondo’s book-tossing suggestion was misinterpreted and exaggerated. Many of those people simply didn’t understand where she was coming from or the full extent of her philosophy. Read Marie Kondo’s books and you will find that she suggests creating a sort of shrine in your home – a space that will bring you the most joy. 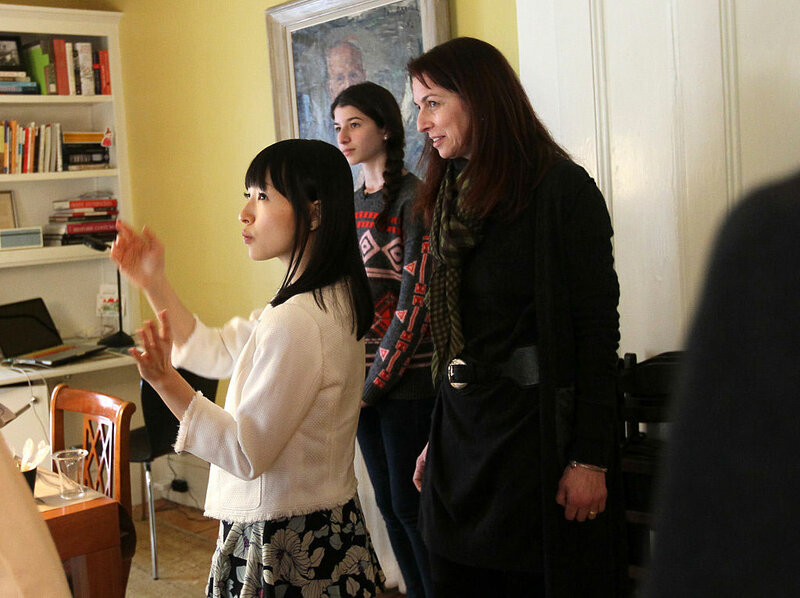 According to InStyle, Kondo’s is in a small corner of her living room that houses family photos. This hearkens back to Shinto religion as well. “In Shintoism and in shrines, tidying and cleaning are regarded as mental cultivation and spiritual training. I suggest people develop their home as if it is their own shrine, which is a power spot to its residents,” she told Telegraph. Since Marie-mania has taken hold of Western media, it wasn’t long before the de-cluttering guru heard her name uttered by celebrity mouths. She has appeared on The Ellen DeGeneres Show and Rachael Ray. She has been hosted by the likes of Twitter, Airbnb, and eBay. 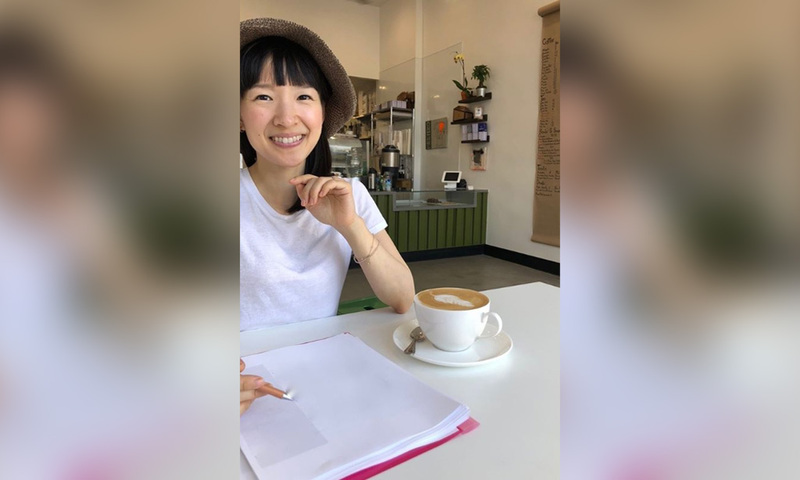 Marie Kondo may already be in your Netflix queue with her HGTV-style show, Tidying Up with Marie Kondo, but for those who simply can’t get enough of her life’s philosophy, there’s apparently a sitcom in the works as well. 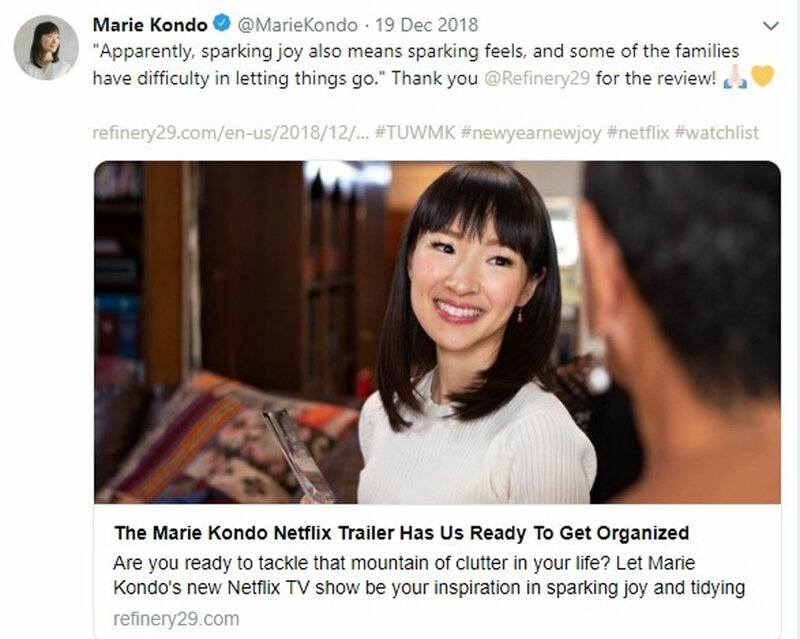 In 2015, Deadline reported that NBC commissioned a sitcom based off Kondo’s first book, The Life-Changing Magic of Tidying Up: The Japanese Art of Decluttering and Organizing. The show is being written by Burning Love’s Erica Oyama, about a young woman in crisis-mode who attempts to reorganize her messy life. 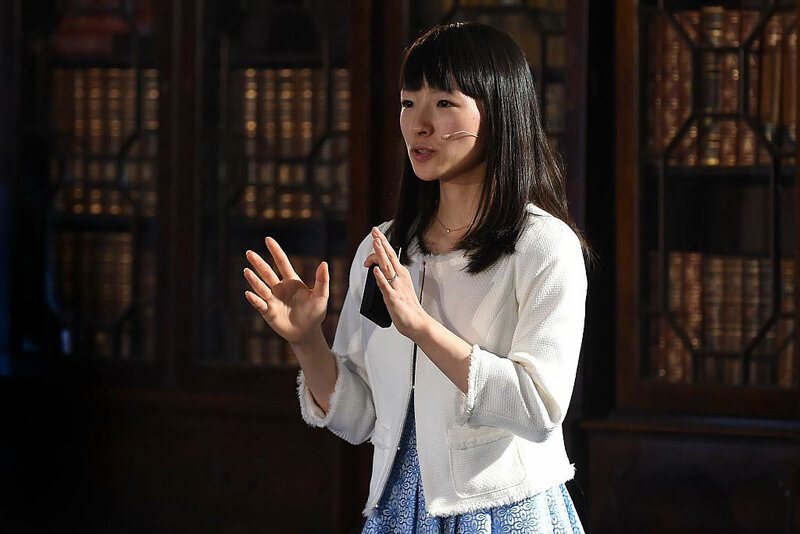 When it came to bringing her Eastern sensibilities to Western audiences, Marie Kondo has said that despite obvious cultural differences, the desire to achieve a tidy home was a universal one. “The biggest difference is that each culture has its distinctive architecture and interior. The physical size of the house is different, too. But I don’t think the tidying skills and tidying approaches necessarily have a link to [Japanese] culture and tradition… when I go to western countries like the U.S. and France, I hear exactly the same problems from people living in those countries,” she told Telegraph. What people often fail to recognize is the cultural differences that stand between her methods and Western audiences. “Some people on the show questioned why they would thank an inanimate object for its service. This was a revelation. I know now that I must explain some aspect of my work more clearly,” she told Vulture. Still, there are people who remain unconvinced. 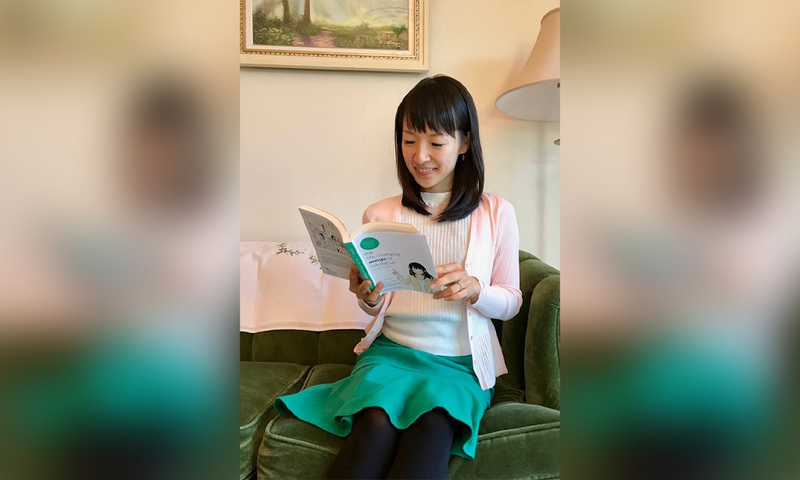 To that, Kondo has expressed it’s good to practice what works for you, “because my method might not spark joy with some people, but [another] method might,” she told the New York Times. Fitted sheets can be the absolute worst to fold. 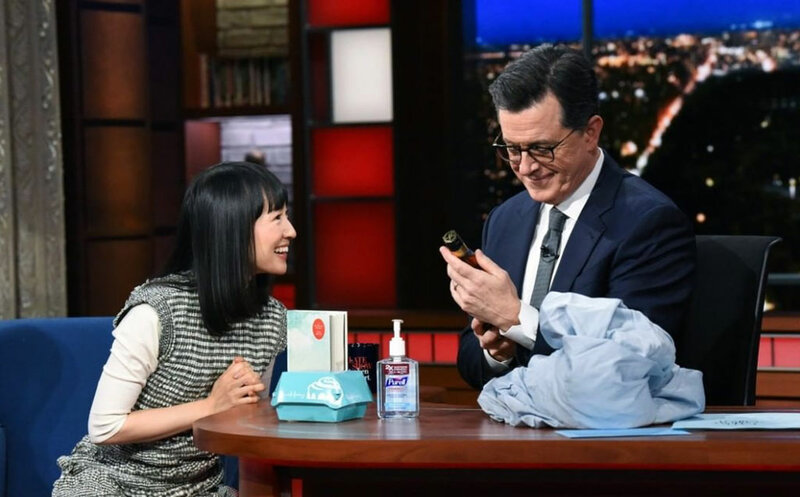 Luckily for Stephen Colbert, Marie Kondo stopped by The Late Show in February 2019 and taught him how to do it. She also straightened his desk for him during her guest appearance on the show. Colbert held up a wrinkled, wadded up sheet, and said, “It brings me great rage because it’s impossible to fold a fitted sheet.” It was no match for Kondo, who lined up the edges, neatly folded the sheet into a rectangle, then folded it in half before rolling it up. She continued, “I collect all my feelings at once, decide upon solutions based on positive emotions and actions (those which “spark joy”) and then pick a clear time and place for completing these solutions.” Kondo writes down her feelings, the reasons for those feelings, and comes up with an action plan for dealing with her emotions. 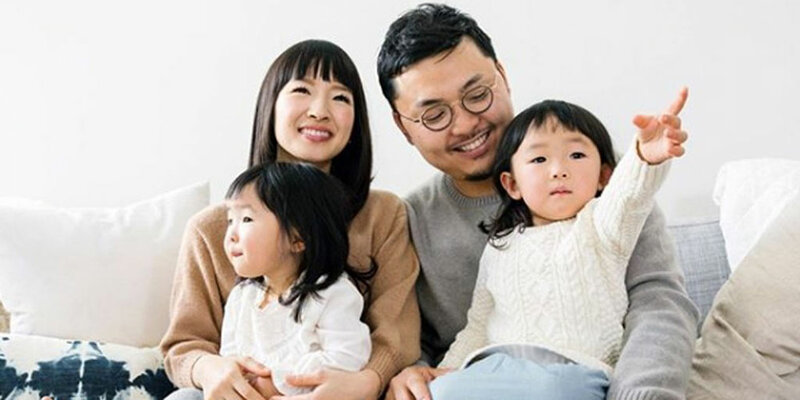 Marie Kondo told the Wall Street Journal that she started teaching her children to tidy up as soon as they were old enough — which was very young! “It’s never too early to learn how to tidy up,” she said. 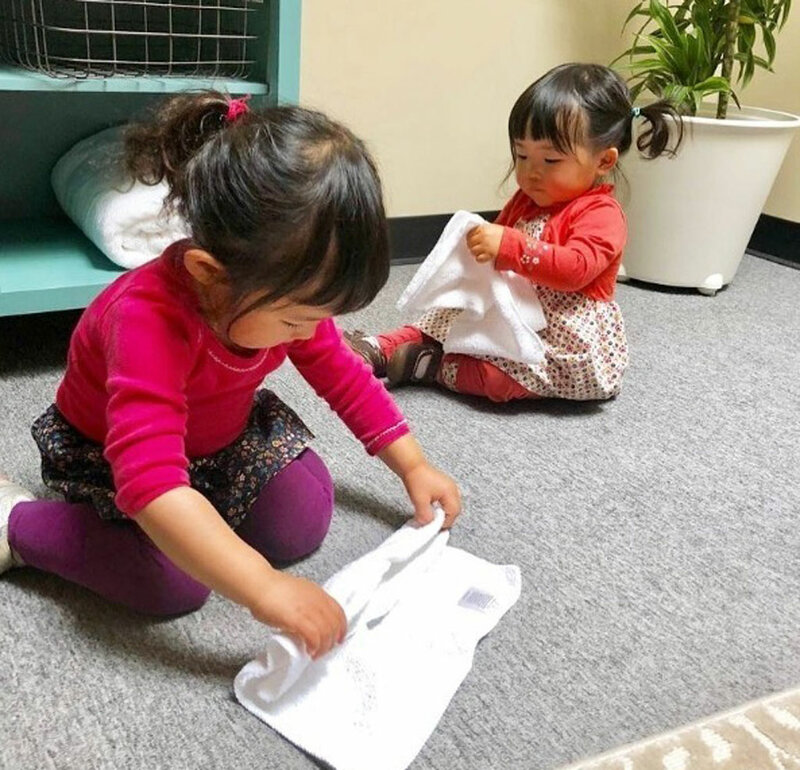 “You can let your children take on a challenge when they turn about 1 year old, after they learn how to walk.” Kondo’s Instagram account is filled with adorable pictures of her daughters cleaning up after themselves. People who have pets know too well that animals don’t clean up after themselves. 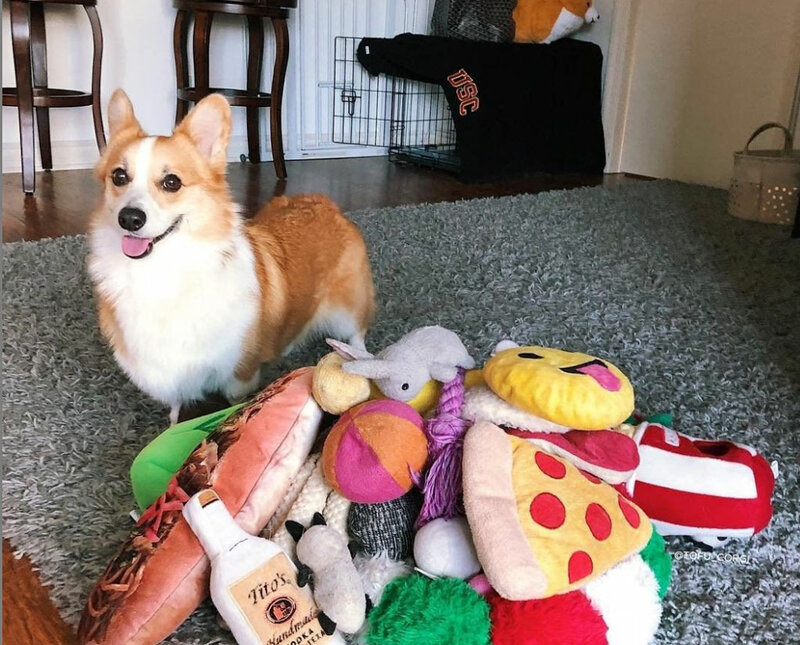 How does Marie Kondo feel about keeping pets? She certainly doesn’t suggest that others forego the joy of having pets just for the sake of being tidy. During an interview with a reporter for The Guardian, Kondo was asked if she had any bad habits that she had a hard time giving up. After thinking for a while and relayed the habit to her translator, blushing the entire time. Marie Kondo’s influence is now so widespread that people use her name as a verb. You’re “kondo-ing” when you tidy up a space, and Instagram accounts dedicated to showing homes that have been “kondo-ed” are hugely popular. To put this into perspective, here are a few other companies or brands whose names started being used as verbs: Uber, Velcro, FaceTime, Skype, Rollerblade, and Google. Marie Kondo is right up there with the big names. What’s The Most A Client Has Purged? Any serious Marie Kondo fans know by now that clothing is one of the hardest types of clutter to get rid of, although it’s also some of the easiest to accumulate. People who watch her show on Netflix are used to seeing her purging methods, which include placing all clothing in a large heap before sorting it. So what’s the most clothing Kondo has seen a client purge? 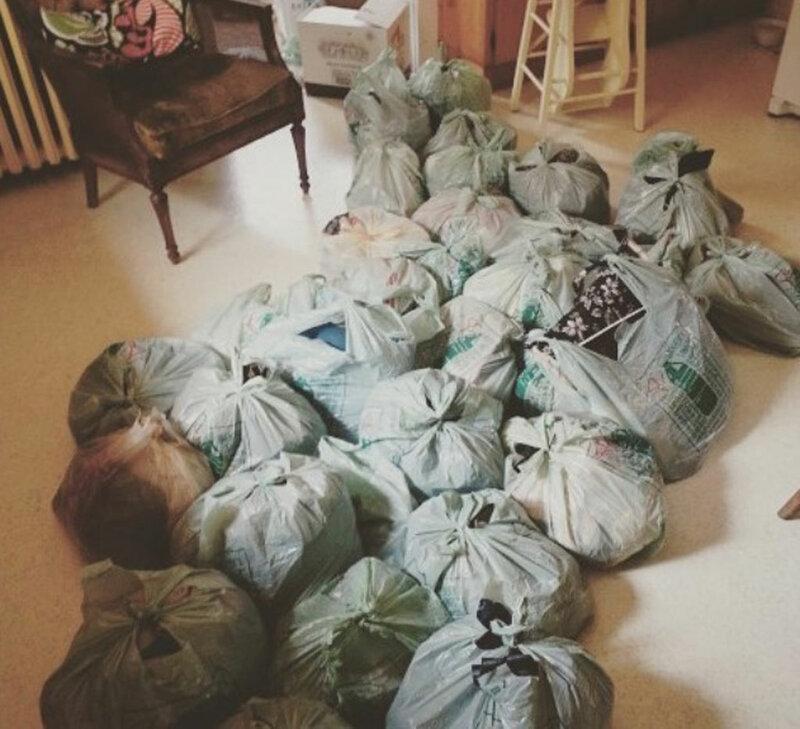 She says that one of her customers parted with an astonishing 200 garbage bags full of clothing. That took some serious dedication. Kondo’s website advertises official consultants that people can book locally. “KonMari Consultants are officially certified to help you tidy your home using the KonMari Method,” the site says, and are ranked into certification levels depending on their experience. The website also features profiles of certified consultants as well as information on training to become a consultant. There are seven steps to take, including attending a seminar, practicing with two clients, and a written exam. One other common type of clutter that plagues modern homes is of the paper variety. Photos, receipts, tax records, medical bills… it all piles up rapidly and can be daunting to tackle. 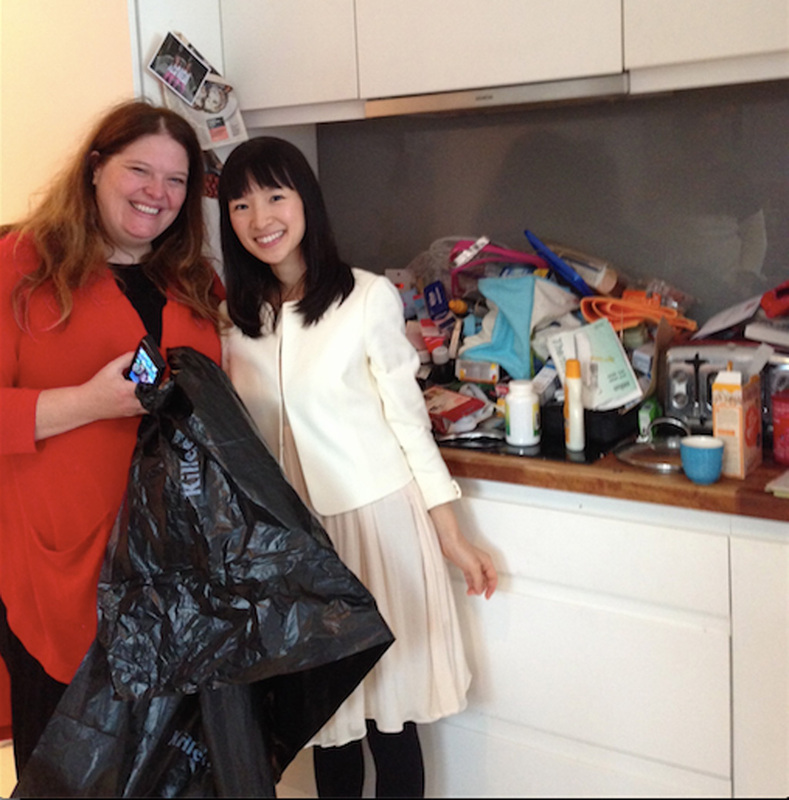 In her Reddit AMA, Kondo outlined her technique for dealing with paper clutter. “I recommend to take the same method as you tidying up your house,” she says. “For example, you should dedicate the whole day to tidying up your email inbox (or in one shot). In the same way, you move on to the next category of documents and files – for example, you just want to work on this specific folder today. But you want to get it ALL done. It is important to finish up this category in one shot.” Fortunately, she added that it’s OK to take a break during this tedious work. 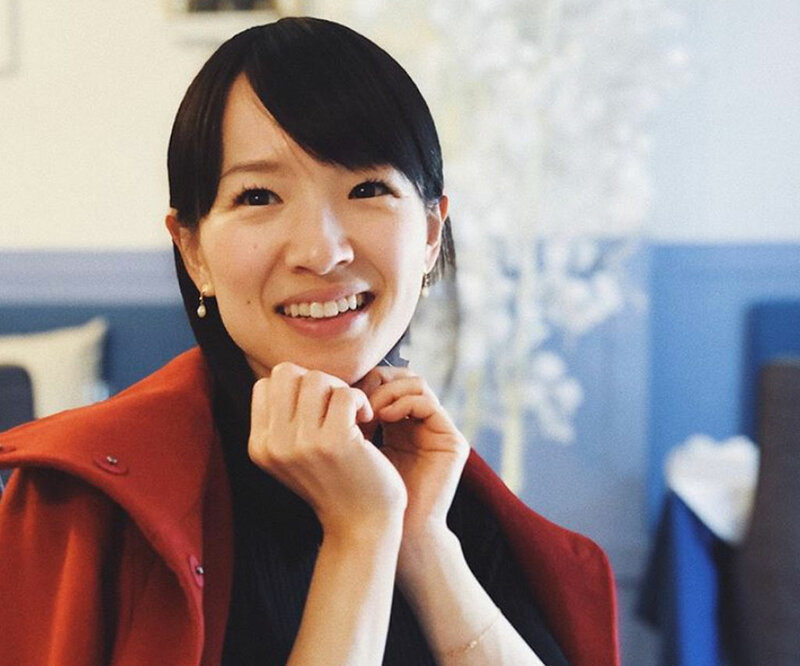 Marie Kondo’s husband-turned-manager and CEO of KonMari Media first attended Kanagawa University’s Department of Autonomy Administration in the Faculty of Law before he met her. Takumi Kawahara then worked at several different firms in Osaka. Many of his jobs required extensive travel throughout Japan. Kawahara is a natural photographer and he takes many of KonMari’s pictures. In fact, most of the photos in Kondo’s Instagram feed are credited to him. How Does Kondo Approach Shopping? One Redditor asked Kondo about shopping: “When I need to buy something, how can I be sure that it will continue to spark joy, even after the “rush” of shopping has gone down?” It’s a great question since Kondo is all about eliminating those things that don’t thrill us. Her response was that you should tidy a space up before shopping for it. Those of us who have office/desk jobs know that a cluttered workspace is a complete productivity killer. Marie Kondo is a pro at clearing out a desk quickly. She shared these steps, which she’s able to complete in under four minutes. It might take the rest of us a little longer! She starts the way she does with any project: getting rid of the things that don’t spark joy. Then, she thoroughly cleans the work area (did you know that a desk can have as much as 400x the amount of bacteria in an average toilet?) before neatly putting everything back into place. Of course there’s an app for that. 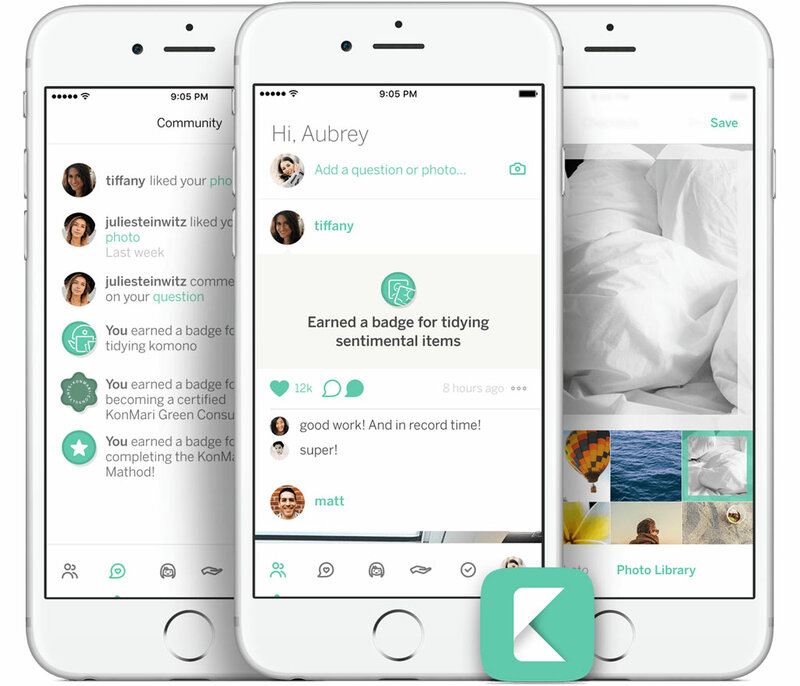 The KonMari app gives users a way to use Marie Kondo’s techniques as they tidy their homes. The app allows people to photograph and track their progress as they go through all five of her sorting categories (clothing, books, papers, miscellaneous items, and sentimental items). Users can also set reminders and due dates for themselves, as well as interact with other people with the app. 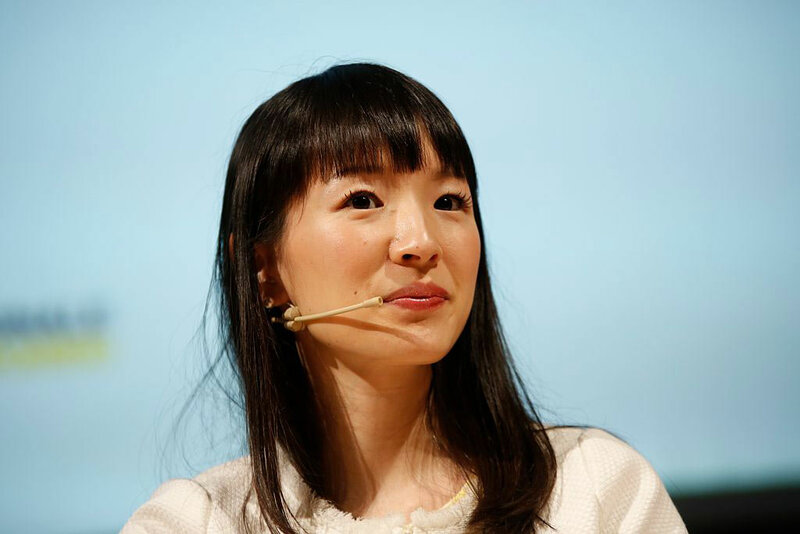 As mentioned earlier, Marie Kondo received the honor of being named one of Time’s 100 Most Influential People in 2015. 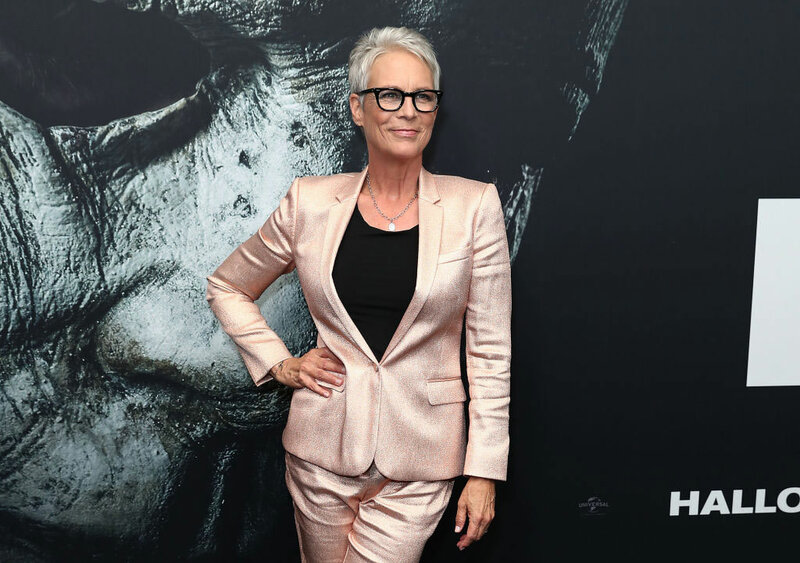 Celebrated actor Jamie Lee Curtis wrote a glowing profile of Kondo for the occasion. Many people struggle with packing. It can be hard to know how much you need to bring on a trip, and even harder to fit it all into a tiny suitcase. Of course, Kondo is a packing guru and she’s happy to share her tips with others. As you might have guessed, folding things properly is one of her top tricks. Folding vertically and as small as possible. Thinner items can be rolled to prevent wrinkles. Other tips: keep like items together and look for hidden storage (such as putting socks in bra cups). 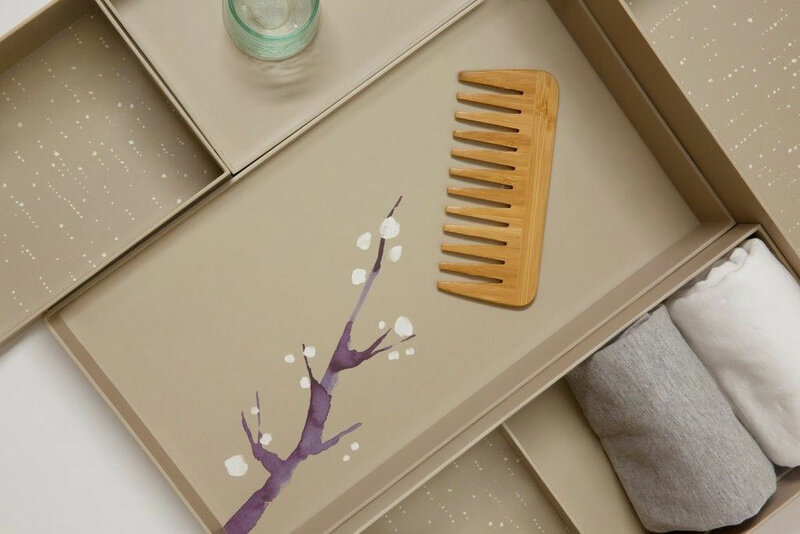 In 2018, Marie Kondo unveiled a new product: a line of special boxes called Hikidashi, which is Japanese and means “to draw out.” They come in sets of three, with a small, medium, and a large, for $89. So what makes them worth the steep price tag? Kondo explains that she designed the boxes to be beautiful, which means that they’ll spark joy each time you open a drawer and see them. They are pretty enough that they can also be placed on shelves to “create” drawers. When she was five years old, Marie Kondo’s bedroom didn’t have any windows so she turned to magazines for their pictures. She’d cut them out and stick them to the wall to look like the scenery she would have liked to see through a window. 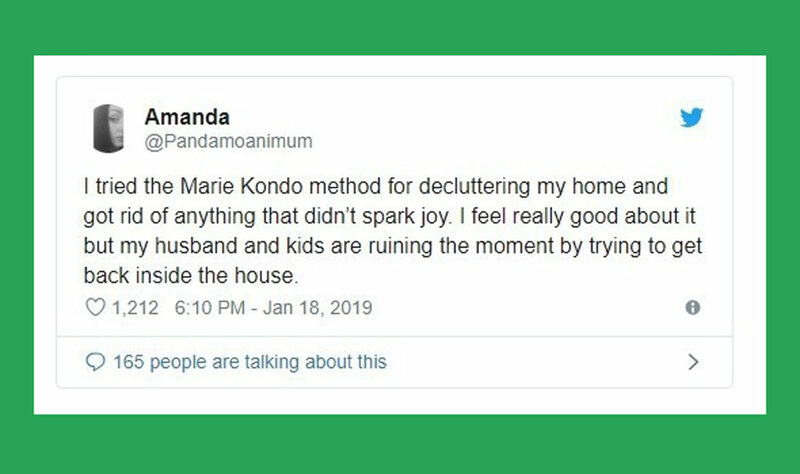 Marie Kondo’s decluttering methods might be effective, but that doesn’t mean that they’re immune to some good-natured kidding from fans. One Twitter user with the handle @Pandamoanimum shared this knee-slapper. Marie Kondo goes out of her way to acknowledge and thank people and companies that support her or give her rave reviews. She’s very appreciative of her success and her fans.